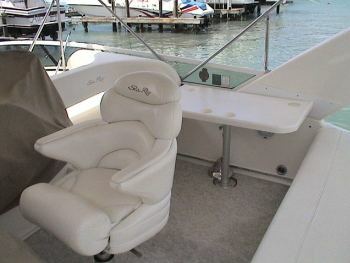 The motor yacht TOP SECRET was built by the well knows Sea Ray shipyard in 2001 and sports a performance hull on 2 decks. 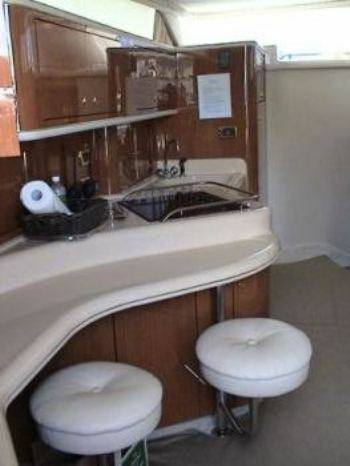 Charter yacht TOP SECRET can accommodate up to 4 guests with the option of salon berths in addition, for children. 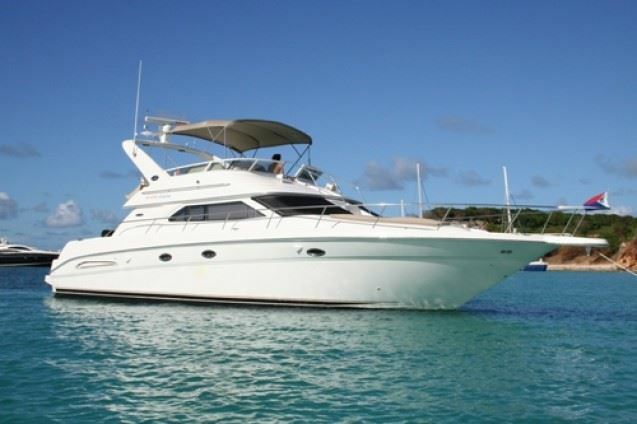 She measures 15.2m (50ft) and is the ideal yacht for families or couples, who want to charter in the warm pristine waters of the Leeward Islands in the Caribbean. 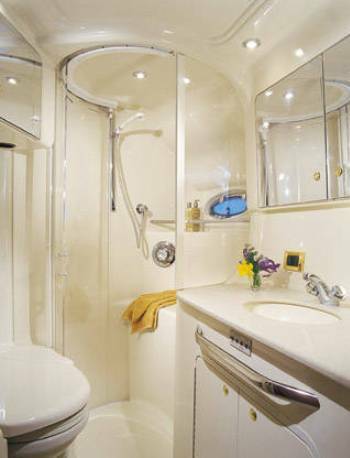 M/Y TOP SECRET has a modern interior. 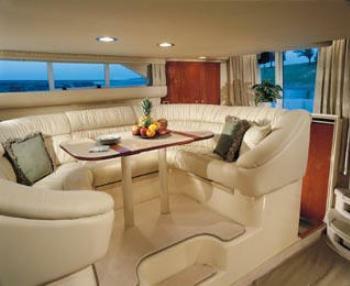 The salon boasts fine leather soft furnishings, cream panels and elongated side widows for ample light and scenic views. 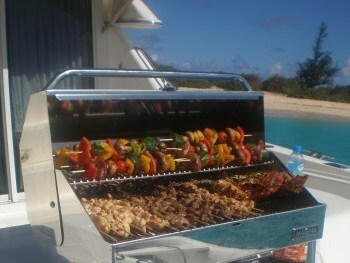 Below decks are 2 double cabins for up to 4 guests. 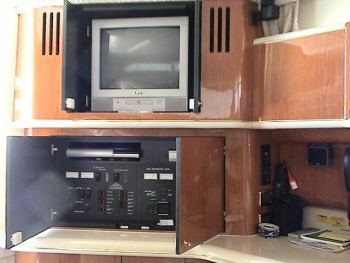 Charter TOP SECRET offers full air conditioning throughout. 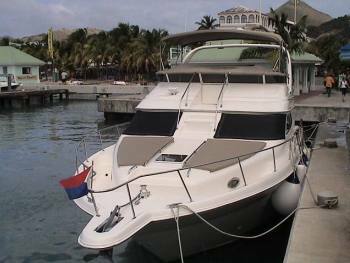 In the tropical Caribbean climates, it is all about outdoor living, dining, socializing and water activities, yacht TOP SECRET is the perfect choice for all. 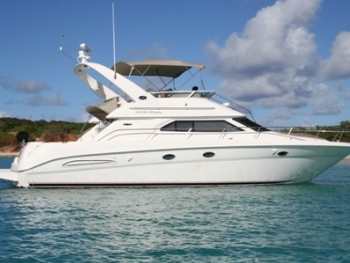 The aft deck is partially shaded offering an alfresco dining option and seating, followed by an extended swim platform for effortless water access. 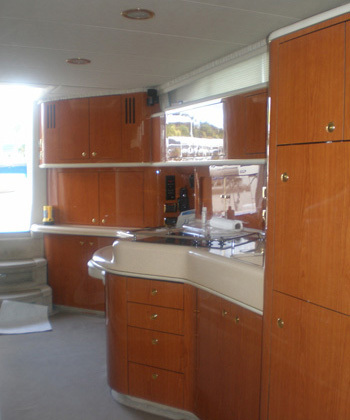 Above the main deck the flybridge offers further shaded seating and a small luncheon table. 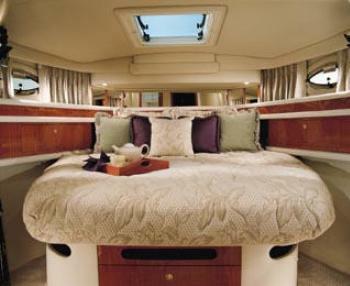 The flybridge has a forward access to the spacious foredeck and sunpads, ideal for relaxing and soaking up the sun. 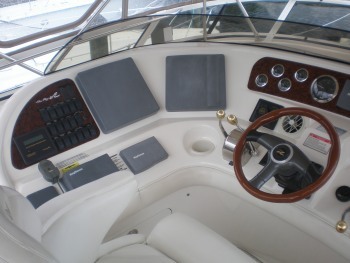 The Sea Ray yacht TOP SECRET has a beam of 4.5m (14.8ft) and a shallow draft of 1.1m (3.8ft), she has a planing hull design allowing her 448Hp engines to reach speeds of 20 – 25 knots easily. The TOP SECRET motor yacht offers charter accommodation for up to 4 guests with the option of additional children in the salon’s pull out berth. 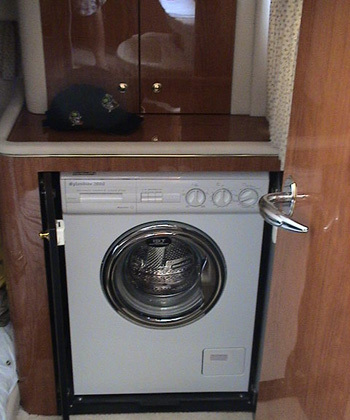 The master cabin is full beam and forward of the yacht with a double bed and en-suite facilities. 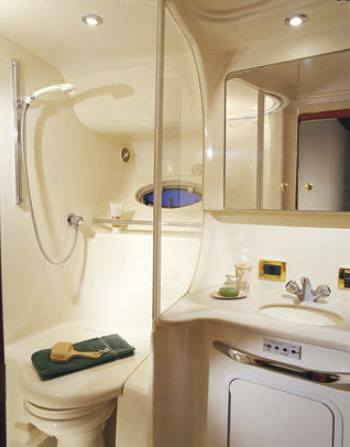 A guest double offers a double bed on the starboard side with en-suite facilities, this cabin does share the facilities with the crew cabin. 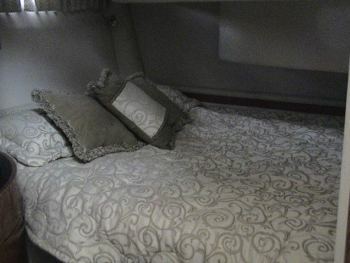 Additional berth space is available in the salon on a pullout bed, ideally for children. 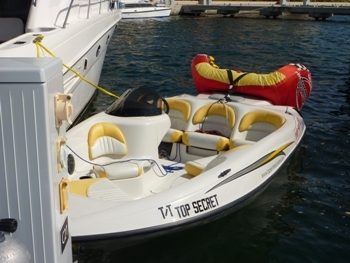 TOP SECRET has an 11.6ft tender with 15hp engine, Towable toys, Fishing gear, Snorkel gear, Beach games, On board diving, TV/DVD, IPod, BBQ, 110 & 220 Volt systems.